← Ponder. List. Outline. Type. The YA Gal’s Guide to Plotting. It’s Release Day for Embers in the Sea! Dork Dancing Allowed for Everyone! You guys! The day is finally here! 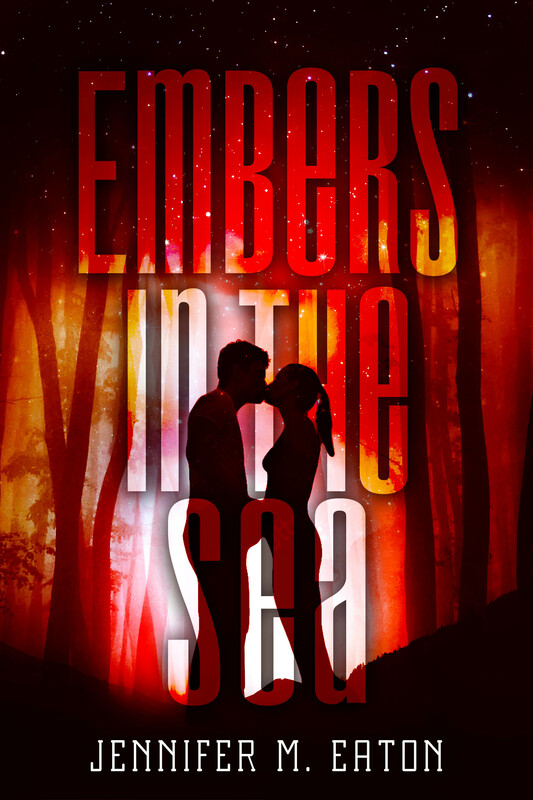 EMBERS IN THE SEA, Book 3 of my FIRE IN THE WOODS series is finally out loose in the world. And early reviews give it 4.75 stars! To be honest, a few years ago I never dreamed there would be more than one book let alone three, and I’m thrilled to pieces you guys have embraced my little alien action adventure with such gusto. Saving the world is tough work, but don’t worry, Jess and David are up to the challenge at least one more time! This is going to be a short note, because so much is going on right now that I can hardly keep up, but I’ll paste the blurb below if you want to check it out. Just in case you’re new here, the first five chapters of FIRE IN THE WOODS are available to read free on Wattpad. Click here to start your race through the woods! Book One is on sale today if you want to check it out! Alien scientist David has dealt with disappointment his entire life, but failing to breathe life into the planet Mars is his greatest regret. Out of options and in need of a new home for their people, the alien Caretakers rekindle their plan to inhabit Earth. First they will have to eliminate the human race, including Jess, the only human David holds dear. And there you have it! I really hope you love this one, guys, and thanks again for all your support! The clock is ticking down to humanity’s last hours as Jess and David face a world more alien than either of them can imagine. The sea hides secrets, but some secrets don’t want to be found. 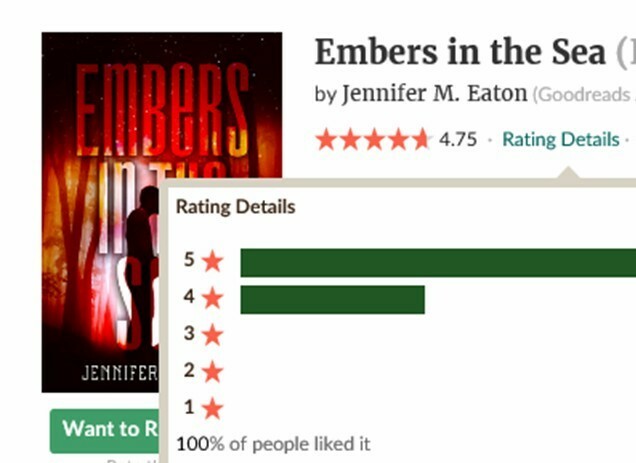 Embers in the Sea is part one of the heart-stopping finale to Jennifer M. Eaton’s Fire in the Woods series. 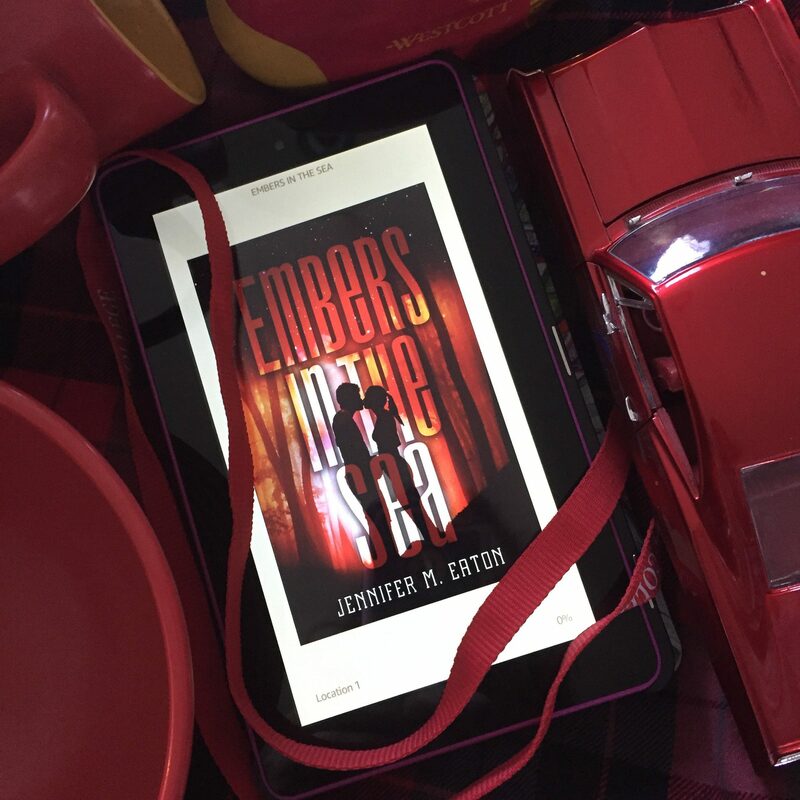 This entry was posted in Marketing Madness and tagged ashes in the sky, Book Review, embers in the sea, fire in the woods, jennifer eaton, jennifer M. Eaton, new release, release day. Bookmark the permalink. This book was so AMAZING but now I must know.. Is this going to be last book in the series? I started it thinking it was the last but after finishing it, I’m hoping not. Hi Maddy! I’m hoping to write another one. Right now I’m waiting on the green light from my publisher. Thanks for reading! Congrats, Jenn. So happy for you! !